Since a mead can never be better than the quality of its ingredients, we use only the best honey we can find. We source our honey from as many local sources as we can, and prefer honey that has not been heated or pasteurized. This ensures that the volatile aromatics of the honey are preserved. The bees collect nectar from flowers up to 5 miles away from the hive. A single bee will produce only about one twelfth of a teaspoon of honey in its lifetime. But in a mead, we need between 3 and 4 pounds of honey per gallon. That means we need a lot of hives to produce enough honey for a single 265 gallon batch. When the honey arrives at the meadery, it is mixed with water until it is in the correct concentration for fermentation. We measure this using a refractometer, a floating scale that tells us how much dissolved sugar is in the solution. At this time, we also would add any fruit that is going to be fermented along with the honey. 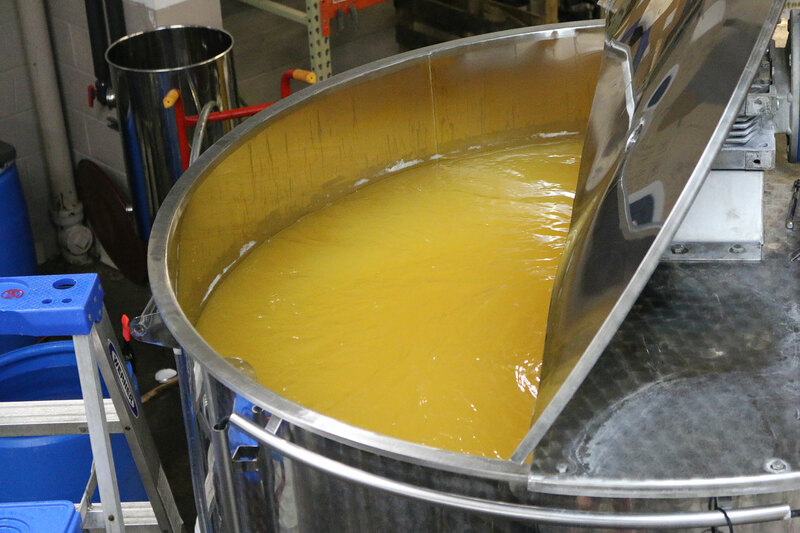 While our honey is being mixed with water, dry wine yeast is rehydrated with yeast nutrients to ensure the yeast is healthy, and has enough nutrients to begin fermentation. Healthy yeast is critical to the mead making process. If done incorrectly, the mead will not ferment all the way to completion, and may also have off-flavors that will impact the overall quality of the finished product. When the yeast and unfermented honey/water mixture (must) are ready, we add the yeast (pitching) and a few other yeast nutrients to ensure a healthy fermentation. Unlike beer, which has a tedious brewing process, mead is more hands-on during the fermentation stage. Each day (and sometimes twice a day), we mix the yeast back into suspension and take measurements. 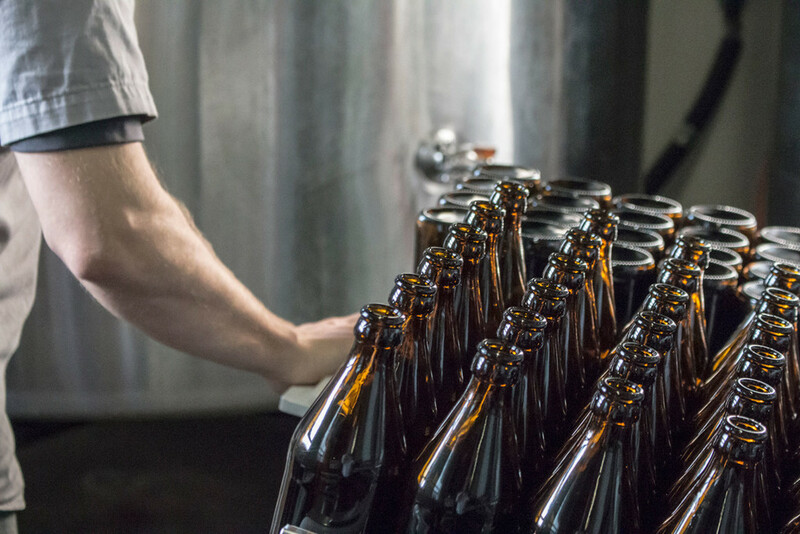 Measurements include specific gravity (fermentation activity), pH, ambient temperatures, and must temperatures. These measurements help the mead maker understand where the mead is in the fermentation process, and gives an indication of what might be causing a problem, if one is experienced. After fermentation is complete, the mead is stabilized and fined. Then it is transferred either into oak barrels, or stainless steel tanks for aging. During the aging process, the mead maker takes samples to determine how it is progressing. We only release our meads once we feel that it has matured enough, not based on a time-table or formula. This is the art of mead making. Once aging is completed, then the mead is filtered into the bottling tank and then bottled. 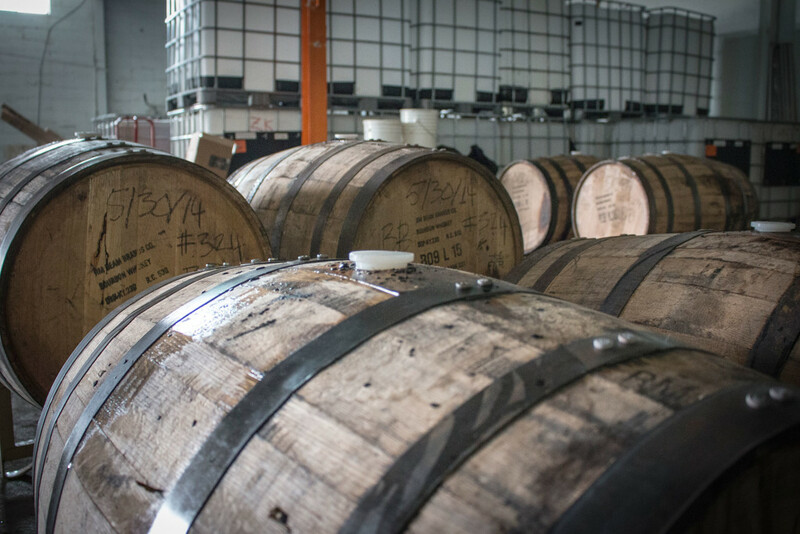 The whole process usually takes about 3 months, except for some of our special releases which may age in barrels for nearly a year.